I was talking with my friends, Faith and Chrystine, at church last week about their summer plans. While they had some ideas in the works, they confessed that their current life included a fair dose of boredom…partially due to the family’s month-long TV fast. I asked if they liked to read and got a mixed response. 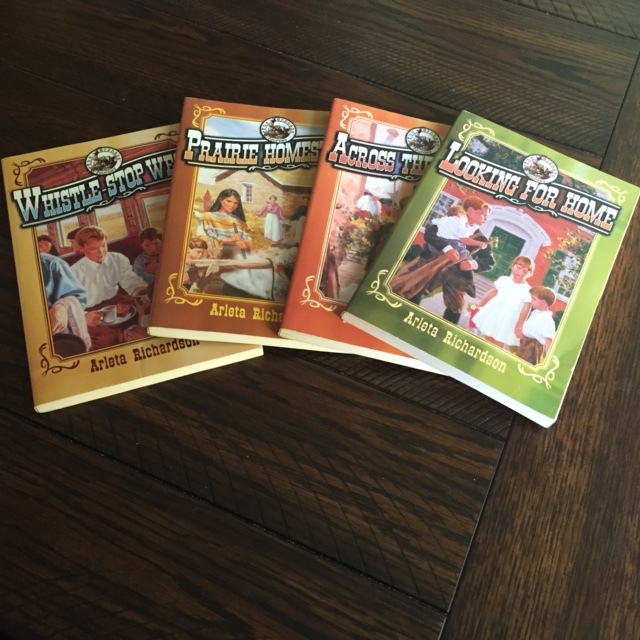 Faith said yes…she liked the Little House on the Prairie series…but it was hard to find new good things to read. But as I chatted with the girls (and their mom) I came to the revelation that not everyone even knows about some of the books that my siblings and I read as kids. I guess I shouldn’t have taken that for granted. Shoot, you can’t take it for granted that kids even know where a book is anymore. Yes, there can be methods of education and entertainment that don’t come with a power button. So, here are a few that I still have in my bookshelf…having survived multiple moves, many years, and countless spring cleanings. If you find one or two you haven’t heard of and decide to check them out, let me now what you think. Mind you, if your kid is into Harry Potter or Lord of the Rings, this is not the list for you. They are not all distinctly Christian, but these are G-rated (it’s been a while since I ready many of them, but if you know my mom, you know we didn’t read anything that isn’t G-rated). 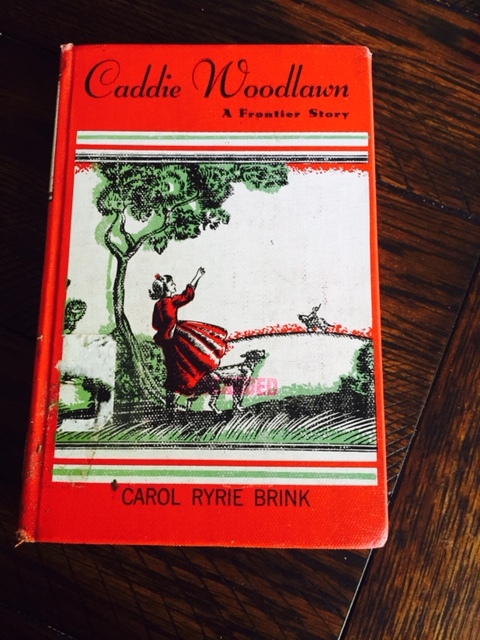 Caddie Woodlawn: This is a fun book about a girl and her family growing up in the days of Indians and settlers. It’s a Newberry award winner that is still in print, so you can get much more attractive versions than this somewhat dated hardcover edition: such as here. Magical Melons: Here is the sequel. And as I recall…just as good. It gets it’s name because Caddie and her brothers find melons mysteriously hidden in a load of hay. Lots of other surprises hidden in this well-read volume. Mine looks a little worse for wear which just means it’s a good book. 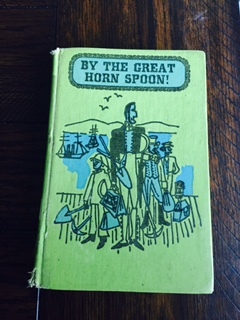 By the Great Horn Spoon: This is such a clever book. I wish I wrote it! Jack sets out on adventure to California during the gold rush of ’49. Granted, like the above, this edition doesn’t look like much. In fact, at first I wouldn’t read it as it kid because it looked scary to me. I kept waiting for the scary part fully prepared to slam the book shut and go hide somewhere safe, but this one managed to be fun and interesting without being over-the-top frightening for a kid who couldn’t get through a Disney movie without running for cover. It is also still in print and I found a better looking copy for you, here. I’ve looked for other books by this author with no success, so if you know of one, let me know. 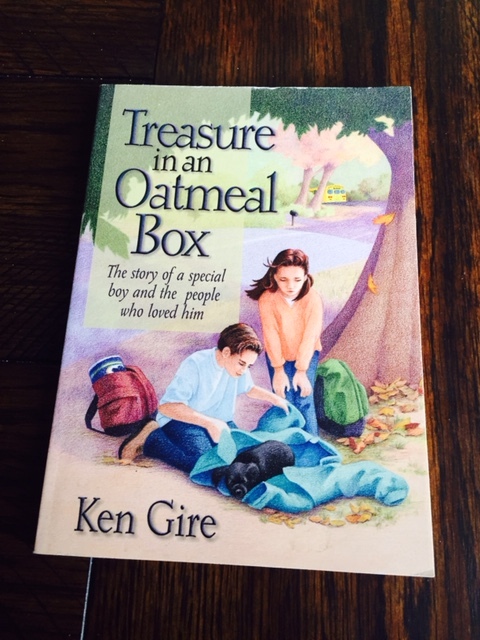 Treasure in an Oatmeal Box: Okay, get out the tissues…this one will make you cry. It tells a good story of a girl and her special needs brother. It is set at Christmas time and used to be called “A Christmas Duck” (in case you are familiar with that title). I found one of these for $.19. What’s not to love about that? [In case you’re wondering, no Amazon isn’t paying me anything…It just comes up first in a search.] Kim’s Diary is the sequel. I don’t remember it terribly well, but hey, who wants to pay shipping for $.19? Order them both. 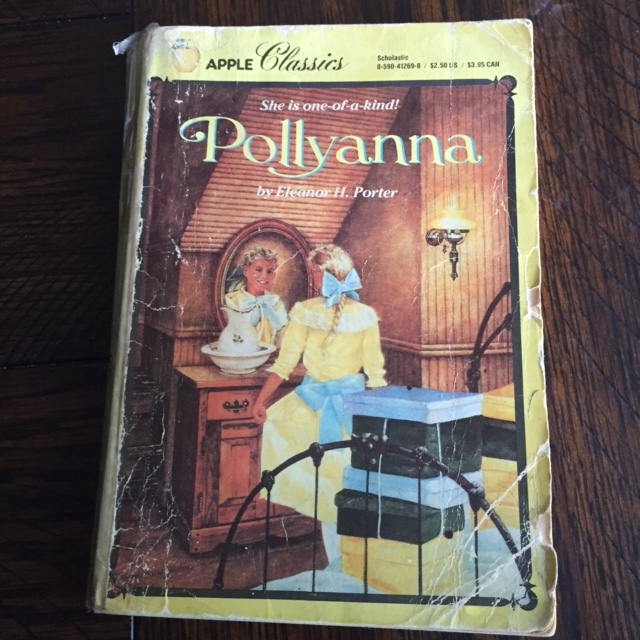 Pollyanna: Please, please tell me you’ve heard of Pollyanna. 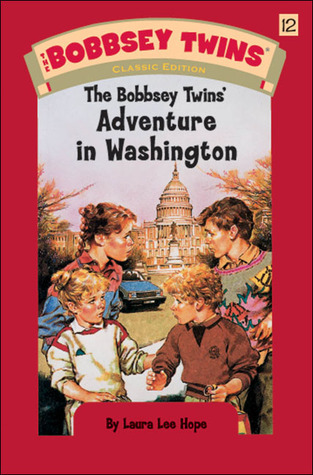 I would hate to think that this world has fallen so far so fast that your kids haven’t read this book. I include it here just incase you fell into the trap of watching the movie and not reading the book. Bad call. The movie is to the book what carob is to chocolate. Basically, an insult. Unless you just really feel the need to listen to Hailey Mills sing, skip the movie. But read the book. Like the above, I don’t remember the sequel as well, but it is a true sequel, not something made up by someone else later. And I kept it, so that says something. All-of-a-Kind Family: This is a good series about a Jewish immigrant family growing up in New York City just prior to WWI. They were fun books but I also learned a lot about Jewish holidays and customs. There are quite a few in this series and my only word of caution would be that as the oldest girl gets older, there are a few books just about her. I recall I didn’t like them as much and they were a little less family oriented. That still leaves several to enjoy, though, you can check them out here. Christian Heroes: Here is a lady you may not have heard of before…she is just one in a great series of biographies. I recommend reading as many biographies as you can get your hands on. YWAM has a long list of titles and publishes them at various reading levels. 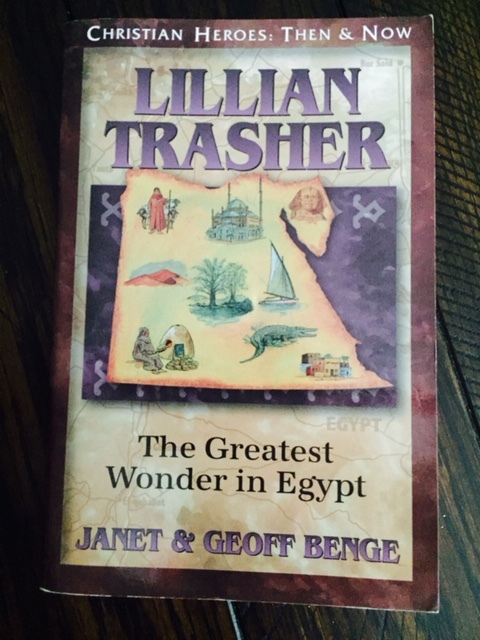 I enjoyed this little-known story of Lillian Trasher who started in orphanage in Egypt that became a thriving ministry. 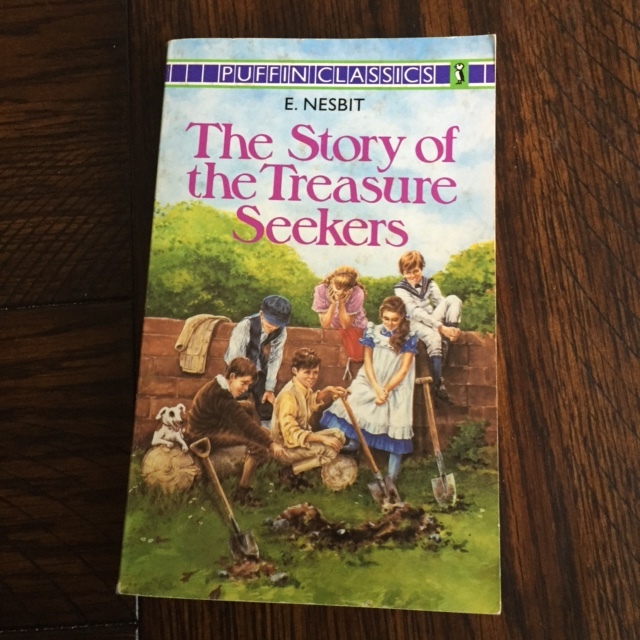 Story of the Treasure Seekers: E. Nesbit wrote Railway Children as well as Story of the Treasure Seekers and a bunch of other books I haven’t read. She lived in the late 1800s and early 1900s, so her books aren’t quite as much of an easy read as some of the others. Still, if you are trying to raise kids who love Jane Austen, here’s a great place to start. Railway Children is probably our favorite. We had it as audio book and we listened to it many, many times. On the other hand, if you have a bunch of kids trying to find ways to make money, they might really identify with the Treasure Seekers in a big way. In Grandma’s Attic: This is basically an authentic Christian series reminiscent of the Little House on the Prairie Books. The first three books are told from the perspective a little girl who is listening to her grandma tell stories. Her grandma had a genius for trouble which results in a lot of life lessons learned along with way. Starting with Treasures from Grandma, the books take on a life of their own and the series follows Mabel O’Dell through her teaching years, marriage, and motherhood. There are at least nine of these books, so get started and you might be able to stick with the TV fast longer than a month. 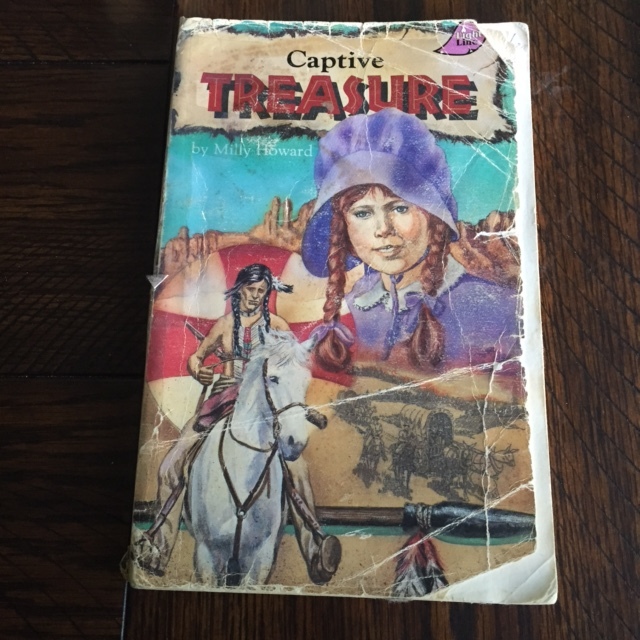 Captive Treasure: This is a story of a young girl who gets separated from her family on a wagon train. It’s dog-eared for a reason. Actually, I recommend any of the Light Line books which are from a distinctly Christian perspective (it is somehow affiliated with Bob Jones). One of my favorites was Some Summer about some boys who built a tree house. It was just a believable story about every day kids. How easy are those to find? It doesn’t seem that Captive Treasure is still in print, but there are used copies online including some for a penny. And $3.99 shipping. 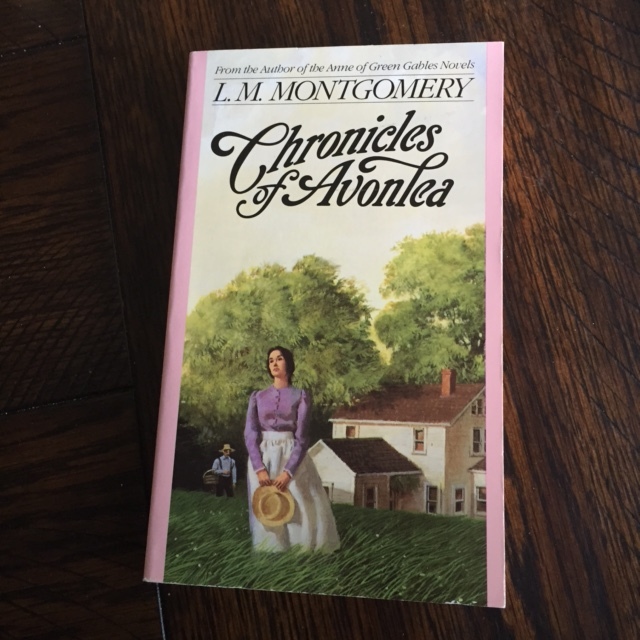 Chronicles of Avonlea: Now I know you’re familiar with the Anne of Green Gables series and I hope you’ve read them all. L.M. Montgomery was a talented author and I think I’ve read upwards of 20 of her books. Unfortunately, over time, her written starts drifting into the realm of weirdness. This particular book, as I recall, was written before that and just has good stories. It is written for a little more sophisticated readers than some of the other books on this list. Nonetheless, there is just no denying that L.M. Montgomery was a master story teller. This list is starting to feel a little long, so I’m going to quit now…if you need a few more suggestions, though, let me know and I’ll keep digging. There are still more good books out there. Yep, books. Those rectangle things with paper inside. They come without a power button. True story. 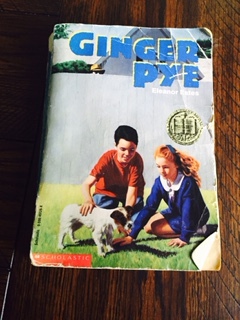 Ginger Pye: Here is another fun award winner…Jerry and Rachel buy a new puppy, but then someone steals him which makes for a bit of a mystery. 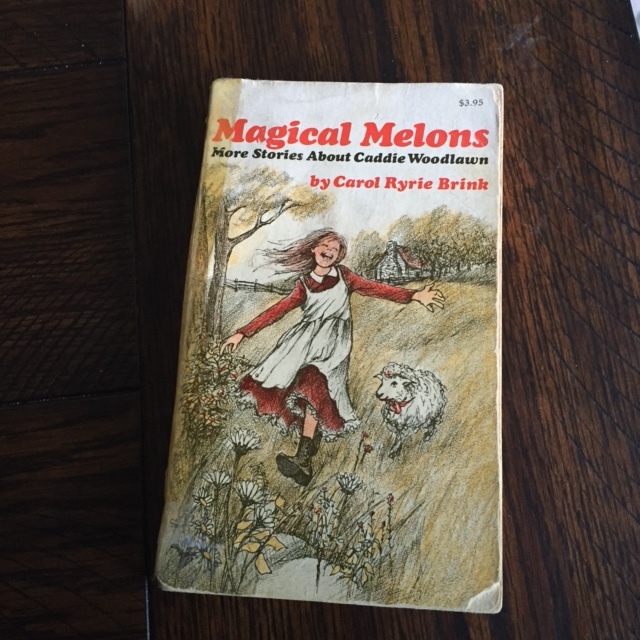 My copy is a little dog-eared but I read it recently to some of my nieces and nephews and we had a lot of fun with it. Eleanor Estes has a few others as well, the Moffats–which is a whole series I haven’t finished…and a few more I never even started. But I plan to some day. 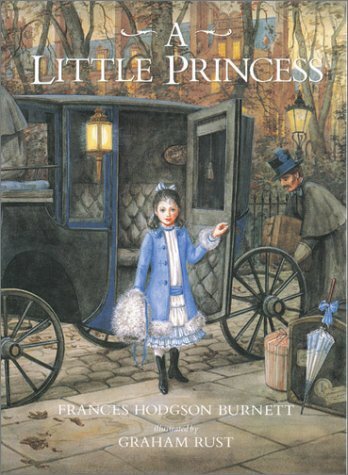 A Little Princess: Another book-turned-movie…but the movie isn’t as good. Sarah’s rich dad leaves her at a boarding school and then dies…turning her into a poor orphan. Yes, kind of a sad story line, but sometimes we learn best from sad stories. And this book has had like 30 different printings and three movies so you don’t have to take my word for anything. Every girl should read this once in her life. The Penderwicks: Here are some news ones I’m excited to explore…there are four so far in this series and the author is still writing. Here is a teaser from Jeanne Birdsall’s website: Meet the Penderwicks, four different sisters with one special bond. There’s responsible, practical Rosalind; stubborn, feisty Skye; dreamy, artistic Jane; and shy little sister Batty, who won’t go anywhere without her butterfly wings. Orphan Train Series: This series by Arleta Richardson (same author as the Grandma’s Attic series) is also based on the true story of the life of Ethan Cooper. 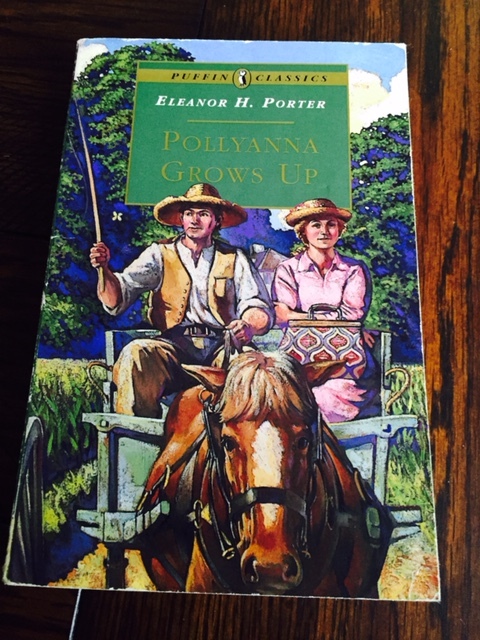 He and his siblings find themselves on an orphan train headed west in search of a family. The series follows them through plenty of changes and new surprises. These are also Christian books so there is an emphasis in Christian character. Again, these can be picked up pretty cheap (the $.70 plus $3.99 shipping kind of gimmicks), here. That’s it. I’ll stop. For now. I am looking for good books for my girls this summer and was glad to be reminded of Caddie Woodlawn. If you want to keep digging, I would be interested. I am also checking out Under the Liliacs to read with my girls this summer. I don’t remember Under the Lilacs specifically, but I’ve read a dozen or more of Louisa May Alcott’s books and with some small exceptions–they are very good. Other than Little Women, I think my favorite was An Old Fashioned Girl. Rebekah is probably just about at the right age to start enjoying them. Hey there…I can’t believe she’s 12! I started out putting age recommendations on the books but I gave up because I realized are so different. What other books has she enjoyed lately? That might help me point you in the right direction. But without knowing–I would say 12 is a sweet spot for most of these books. Definitely Caddie Woodlawn, Treasure in an Oatmeal Box, the Orphan Train series, and you might want to start the Grandma’s Attic series with Treasures from Grandma. Some Summer is one both Jack and Emma might enjoy. Thanks! I will look into these. She is reading Caddie Woodlawn again right now. Is this a series?…. She is reading the Nancy Drew books again but they are probably too young for her (going into 7th grade). She’s been reading them for years now… Many of the girls and boys are reading the Percy Jackson series and the Heroes of Olympus series both by Rick Riordan, and the Divergent series but Emma doesn’t like either of the former and doesn’t really want to read the latter. We walk down the library aisles and it’s pretty daunting. Many books about deaths, hauntings, witches (occult), teen romance. I don’t have time or energy to read each book before Jack and Emma do, so it’s tough and a bit discouraging. I would especially encourage you to check out books by Patricia St. John. Has Emma read Treasures of the Snow, the Tanglewood Secret, Rainbow Garden and Star of Light?